KANSAS CITY, Mo. — As the government shutdown continues, the IRS service center in Kansas City is gearing up for filing season, which begins Jan. 28. The facility on Pershing Road is one of five in the country that processes tax forms. Many of its employees are working without pay. Nationally, about 46,000 furloughed IRS employees have been called back to work ahead of tax filing season. "The IRS has brought back their staff, just under 60 percent, but there is an expectation there will be a long wait time to call the IRS at one of their 1-800 numbers," Andy Phillips, director of the H&R Block Tax Institute, said Monday. Despite the political impasse in Washington, D.C., tax professionals don't expect refunds to be delayed. "Most of the plans for tax season were really set in place before the government shutdown began," Phillips said. "So at H&R Block and our partners at the IRS are, for the most part, ready to go when e-file opens up Jan. 28." This year, the IRS also is dealing with huge changes to the tax code, the largest tax reform in more than 30 years. "You have different tax brackets, maybe the rules have changed," Phillips said. "The rules around claiming dependents and the credits for children have changed, so just like everyone else, the IRS is having to relearn those rules again." 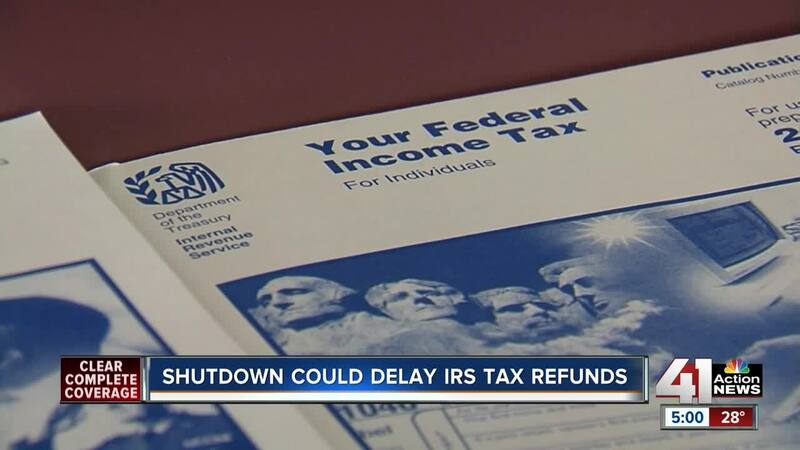 There are some taxpayers who may see a slight delay in getting a refund, but it's not due to the shutdown. "That's due to the PATH Act, which was passed back in 2015. What that rules says is that taxpayers that are claiming earned income tax credit or the additional child tax credit, two large refundable credits that relate to family-type credits, the IRS holds those refunds to confirm eligibility for them until Feb. 15," Phillips said. Currently, the deadline for filing taxes is still set for Monday, April 15.